A white button mushroom equipped with 3D- printed graphene nanoribbons (black), which collects electricity generated by densely packed 3D-printed cyanobacteria (green) Credit: Sudeep Joshi, Stevens Institute of Technology. Cyanobacteria’s ability to produce electricity is well known in bioengineering circles. However, researchers have been limited in using these microbes in bioengineered systems because cyanobacteria do not survive long on artificial bio-compatible surfaces. Mannoor and Sudeep Joshi, a postdoctoral fellow in his lab, wondered if white button mushrooms, which naturally host a rich microbiota but not cyanobacteria specifically, could provide the right environment – nutrients, moisture, pH and temperature -- for the cyanobacteria to produce electricity for a longer period. 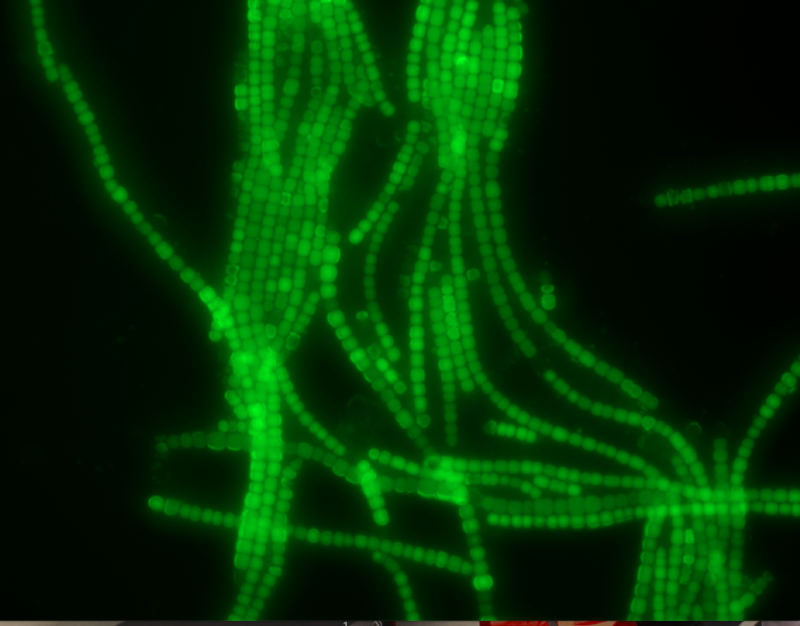 Densely packed cyanobacteria (green) achieved via 3D printing increases electricity-generating behavior Credit: Sudeep Joshi, Stevens Institute of Technology.